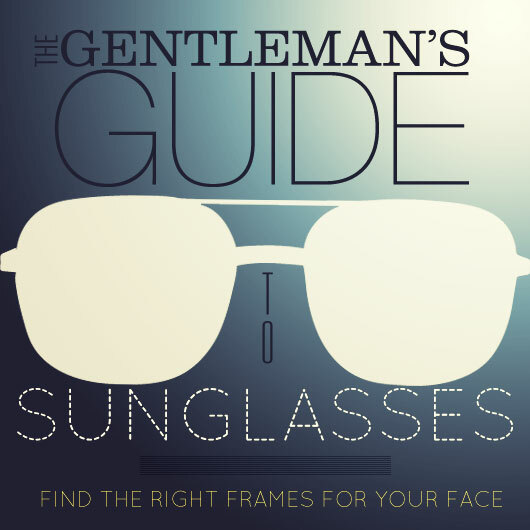 Find the right frames for your face. The right pair of sunglasses can be the defining aspect of any look, and can also prevent serious health issues. Studies done by The American Cancer Society show that every year over 2,600 adults (that’s 1,300 men) will be diagnosed with primary intraocular cancer. A good pair of shades can keep out those destructive UV rays, but before going out and buying just any old sunglasses, make sure to pick up the right pair that compliments your facial structure and your style. First, find a brand or style you like. There are a lot of designers out there that have sleek, comfortable, and stylish glasses for less than you would expect. For starters, Warby Parker offers a variety of expertly designed frames. All of the styles they carry come polarized for less than $100. If you’re looking for something a little more on the edgy side, try Sabre Optics. Vintage and surf inspired shades are their specialty. Sabre sunglasses are also very high quality and priced around $100-$125, so you can get the edgy surf look for cheap. Raen Optics, another vintage styled brand, produces ultra high class and trendy sunglasses. They may be priced a little higher, ranging from around $100 to about $200, but with high quality materials in every pair, they’re very well priced. If you’re looking for something a little more modern, Tres Noir has exactly what you need. With slim, low profile styles, Tres Noir offers stylish shades for around $85-$90. After finding a suitable designer, you’ll need to find out which kind of frames will perfectly compliment your facial structure. A square face is defined with a strong jawline, broad forehead, angular face, and square chin. 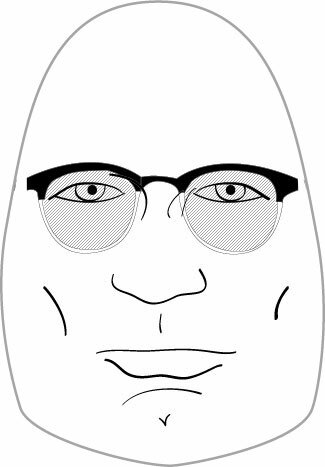 For a square face, the best way to go is round and oval frames. Always choose frames with temples that either connect at the top of the frame or are centered. 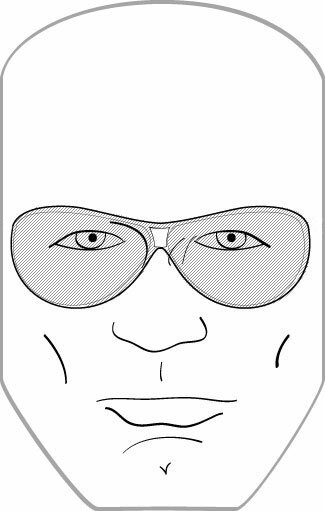 Avoid low set temples and color accents in order to draw attention away from a square chin line. Also avoid square and geometric shaped frames, as they will exaggerate the already angular qualities of a square face. A facial structure that has balanced proportions, high cheekbones, and a chin slightly more narrow than the forehead can be classified as an oval shaped face. 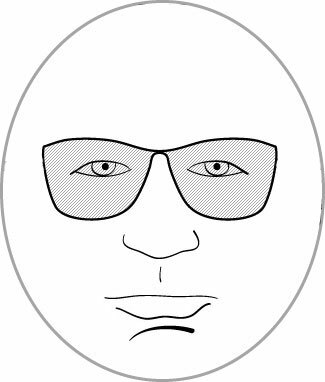 Most frames work well with oval shaped faces. The best way to go is with more rectangular and geometric shapes, as they will add angles to the soft features of an oval facial structure. Try to steer clear of frames that are too large for your features. Large glasses tend to make the face seem smaller. An oblong face is longer than it is wide. It also includes high cheekbones, a longer nose, and a tall forehead. An oblong face is a taller face, so taller frames will help shorten up the facial structure. Also, wider frames and an accented top rim or a flashy temple are a great way to widen the face. Stay away from short frames that can make the face seem taller. Keep away from small, out of proportion frames as well. A face with rounded cheeks, few angles, and a rounded chin are classified as round. The width and length of the face are usually the same proportions. A variety of frames can help compliment a round face. Angular and geometric frames can sharpen features. 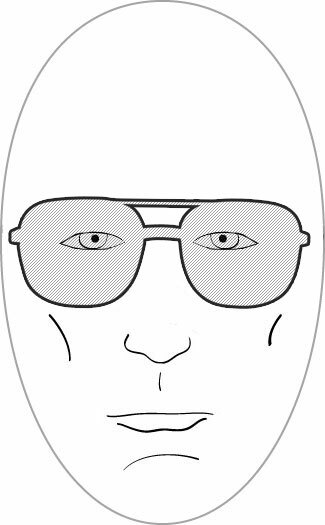 More rectangular and horizontal frames help make the face taller and thinner. Upswept frames draw attention to the top of the face which also helps make a taller and thinner face. Temples that connect at the top of the frame can add even more length. Avoid small frames that are out of proportion, as they can accentuate the roundness of the face. Broad forehead, small chin, and wide cheekbones denote a heart face. Round, narrow frames help soften the forehead. Bottom heavy frames can add width to the narrow lower face. Low set temples can draw attention downward and take attention off of the forehead. Make sure to avoid overly top heavy styles that can draw attention upwards. Also keep away from decorative temples that can broaden the upper face. The diamond face has a narrow eye and jaw line, a small forehead, dramatic cheekbones, and angular features. Stick with anything that emphasizes the cheekbones. Upswept styles and rimless styles help make cheekbones stand out. Also, oval frames can help maintain balance. Avoid any narrow frames that draw attention to the eye line. A narrow forehead, widening eyeline, and wide cheeks and chin make up a triangular face. To compliment a triangularly structured face, the frames should balance the top and bottom of the face. Semi-rimless frames can accent the top of the face. Many top heavy styles can balance out the width of the jaw. 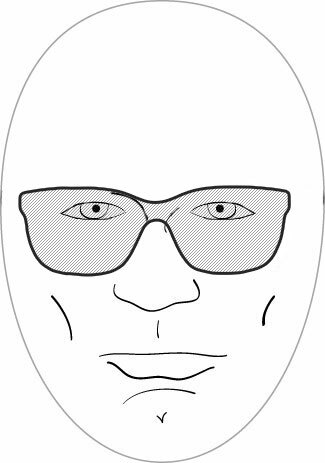 Frame bottoms that angle forward can also balance the face. Avoid low set temples that can add emphasis to the jaw. 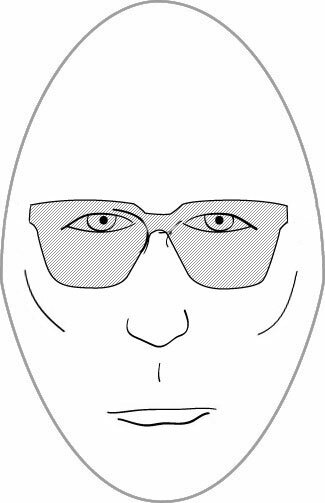 Also, narrow frames that are out of proportion can widen the lower face. My name is Sean Joseph Murphy. I'm 19 and I live in San Francisco. I'm studying creative writing at San Francisco State University. In my spare time I work on and ride my 1979 Yamaha, as well as read and write as often as possible. My problem with sunglasses is that I have an extremely wide/large head and so the majority of sunglasses don’t fit my head. Having just sent back a try at home box of Warby Parkers I can attest to two things. 1. They are beautiful in person. 2. They are small. If you have a normal sized head, jump on those bad boys. If you have a grizzly bear noggin like myself, move along (and weep). I really liked mine. (I’ve since misplaced them, but for $20 I don’t care, part of the charm of the brand!) I linked to them several times in the Getups and someone yelled at me to stop including them because they weren’t good. Not sure if he had a point, or if he just values higher quality sunglasses. In my opinion, knockarounds are fantastic for the price. They’re no ray-bans, but if you lose them or sit on them, it’s not as big of a deal. I would suggest midwestshades.com, they have cheap sunglasses but are high quality. Plus they fit my fat head nicely. Thanks for the recommendation, I hadn’t heard of them before. Getup here we come! midwestshades.com has a great selection and unbeatable prices. Great customer service too. Have you heard of Cassette sunglasses? They’re sweet. Made of bamboo and pretty well priced. If you haven’t heard of them, check them out. Good guide, I went ahead and ordered the AO Original Pilots (think Don Draper). Just got in the mail, great quality, I did a brief photo album review over here if anybody is interested. I had a Ray-Ban RB2132 55mm. My face shape round so this really did not suit me. So I sold this on ebay and I just bought a pair of RL Polo PH4076 in matte havana (they have glossy havana too) and I think that these are best for round faces. This has a slim frame so it can be worn with most outfits and will complement it very well. and I am really glad that I did. Just want to make this recommendation to those people like me who have a round face shape. 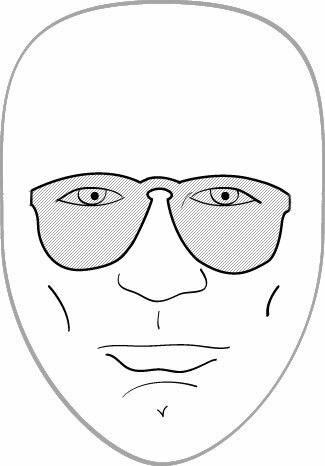 Any sunglasses advise for a big hooked noses type like this gentleman (but without a mustache)? 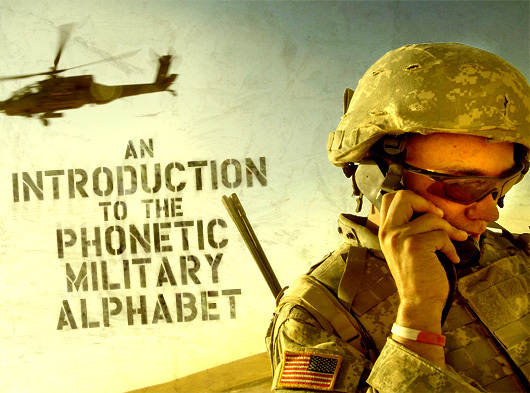 Because your understanding of the alpha, bravo, charlie's shouldn't be limited to your Call of Duty campaign.